It is not easy to find a 100% Mourvèdre as it is invariably part of a blend. So when Dean Hewitson decided to conduct a vertical tasting of his Old Garden Mourvèdre, it certainly attracted the attention of sommeliers and wine writers. What is even more unique is that Old Garden Mourvèdre is made from the oldest Mourvèdre in the world. Planted in 1853, the vines are 160 years old this year. Dean decided to celebrate this with a vertical tasting around the world: Australia, London, New York, Shanghai and Hong Kong. He started making this wine in 1988. 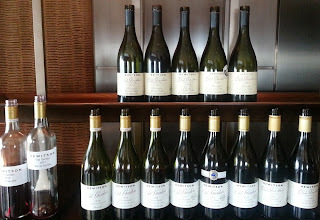 2010 is the latest release but he brought along barrel samples of the 2011 and 2012 vintages. A line up of fifteen 100% Mourvèdres was an impressive sight. The older vintages are mellow with a lingering length and backed by fresh acidity, somewhere between a Gran Reserva Rioja and an aged Barolo, while the younger ones are concentrated, spicy, and surprisingly elegant at over 14% alcohol. The finesse comes from a combination of factors: the age of the vines, the soil and the climate. Mourvèdre is a late ripener and therefore ideal in hot climates as it only ripens by the beginning of autumn rather than in the heat of summer, thereby retaining acidity with a perfect balance of both sugar and phenolic ripeness. The vineyard is dry farmed, with roots penetrating some ten metres deep into the ground, which is sand over limestone for water and nutrients that help provide evenness in the wine. Being 160 years old, the vines bear few but highly concentrated fruits. There are only eight rows of plantings so you can imagine that production is limited. And it will keep reducing gradually as the vines get older and bear even less fruit. Dean doesn’t own the vineyard, and he is smart enough to allow the owner, the sixth generation of the Koch family, to tend the grapes for him. After all, the family has been looking after these vines spanning three centuries since 1853 so they should know what is best for them. Dean is also pretty much hands off at the winery. He experimented with different percentages of new French oak in the past few years to strike a perfect balance with the fruit but has never done anything radical, preferring to let the wine express itself. The one arguably radical thing he did was to switch from cork to screwcaps in 2002, but he believes this is for the better. This was truly a unique tasting. One can easily find vertical tastings of Bordeaux or Burgundy covering two decades, but one of 100% Mourvèdre? You don’t come across that too often. Hewitson Old Garden Mourvèdre is available from Kedington Wines. Not sure if it's just me, but this summer somehow seems hotter than usual. It’s not only the temperature but also the brightness of the sun and the humidity, so that even when I walk into an air conditioned room I still feel the heat dragging me down. No wonder I didn’t taste any red wine at all at the Sopexa French Wines Trade Show. I might have missed some fine reds but I did make a superb discovery: Muscadet from the Loire. Made from 100% Melon de Bourgogne (or Melon), the wine is neutral and light bodied. Yet its crisp, marine freshness makes it a perfect summer drink—who wants a heavily perfumed wine at 30ºC? Even chic ladies sometimes trade their makeup and designer shoes for an afternoon on the beach! I tasted the full range of Muscadet from Domaine Ménard-Gaborit. The wine, with its saltiness, kept reminding me of the sea breezes and salty air of the outlying islands like Lamma and Lantau. What a wine to go with the al fresco seafood at those places! Muscadet is an outdoor wine, great with fresh seafood and good company. There is also an oak-aged Méganome Muscadet Sèvre et Maine Sur Lie that has a rounder and slightly nutty palate. In fact, Muscadet is the favoured pairing with oysters back in Nantais where the wine comes from. This again illustrates the point I keep making: wine doesn't need to be expensive and exclusive. An average Muscadet is less than HK$150 a bottle, and I can promise you that this wine will give you more pleasure with Lamma or Sai Kung seafood than a Bordeaux that may be ten times the price. I told Monsieur Maxime Lavolé, owner of the winery who is seeking an importer here in Hong Kong, to ask his eventual distributor to focus on these outdoor seafood enclaves. They would make a fortune! 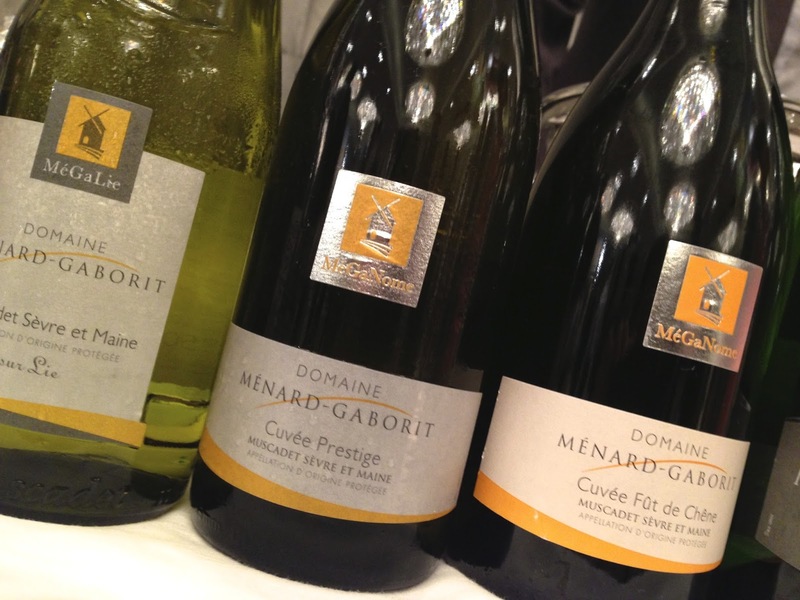 Sadly, wine from the Loire, let alone Muscadet, is not yet popular in Hong Kong. I reckon this is more to do with fame and price than quality. A hot and sweaty Hong Kong summer definitely needs more Muscadet to tone down the heat and accentuate the freshness of the seafood.